Key Difference: Wireless mouse is taking over the market of wired mouse because of its hassle free and convenient usage. There are two types of wireless mouse: USB mouse and Bluetooth mouse. Where USB mouse makes use of USB ports to function, Bluetooth mouse on the other hand uses your computer's Bluetooth antenna to pair with the mouse. No more messy cables, no more need of untangling your mouse, now you can even use your cordless mouse from across the room. The main difference between an USB AND Bluetooth mouse is in terms of how they connect to your device. USB mouse require a transmitter to be plugged in to your computer’s USB slot for it to start operationing. USB connection does not require drives or software to be installed for its functioning. 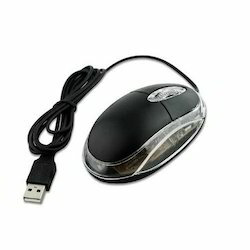 Bluetooth mouse uses your computers in-built feature and just needs to connect to your device. A single mouse can be used for many devices. Speaking about both USB AND Bluetooth mouse, they differ in many ways. RESPONSIVENESS: It has been observed that USB mouse is more responsive as compared to Bluetooth ones. USB ones take a shorter time to start and to come out of sleep mode as compared to its counterpart. At times your Bluetooth mouse might get disconnected abruptly. PORT: For your USB mouse to function properly your device needs to have a compulsory USB port. Your USB mouse takes up one of your ports permanently and is not available for anything else to be plugged in. But in case of Bluetooth it is much simpler just connect to the device’s inbuilt Bluetooth feature and you are good to go. Devices which do not have USB ports can make use of Bluetooth mouse by just pairing with them. DISTANCE: Bluetooth allows you to make use of itself from even a distance of 30 feet via its signals. In case you want to use your television like a monitor while sitting on a couch, Bluetooth allows you this freedom. But USB mouse only allows you a buffer of 4-6 feet. 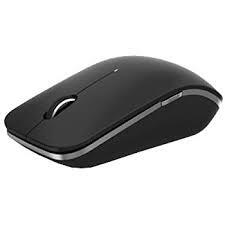 PRICE: Bluetooth mouse is more expensive than its counterpart in terms of the costs involved in materials as compared to USB ones. Not all devices are Bluetooth inbuild but most of them have USB ports in them. In such cases you might have to purchase a Bluetooth adapter which further increases its cost. INTEROPERATIBILITY: The limitation in case of USB mouse is that it can connect to only one device at a time. Whereas in case of a Bluetooth mouse it can be used with devices implementing the HID profile. E.g. Wireless mouse, keyboard, smart-phone, tablet, computer. INTERFERENCE: Bluetooth mouse can transmit data through any physical object but this is not the same in case of USB mouse. Data transmission might get interrupted in case of an object like a wall when talking about USB mouse. Takes more time to respond in case of when switched on and in sleep mode. Requires USB port for working. Makes use of inbuilt Bluetooth feature of the device. Can function from a maximum distance of 4-6 feet. Expensive as compared to USB mouse. One device can be used at a time. Can be used simultaneously with devices implementing the HID profile. Data might not be transferred through physical objects like walls. Data can be easily transferred through physical objects.